The Oscars may be airing this weekend, but this evening is all about the Saturn Award nominations. 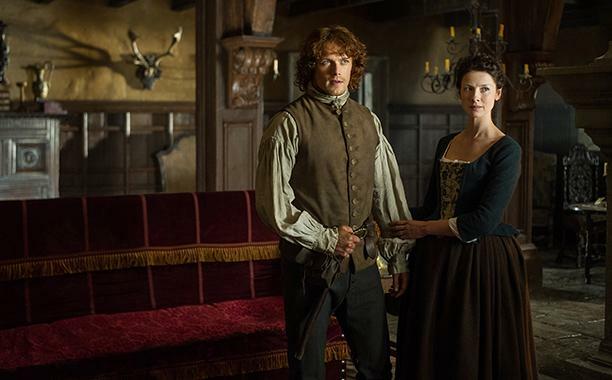 The nominations for the 42nd Saturn Awards, which honor genre films and television series, were announced earlier today and Outlander has made a strong showing for the second year in a row. This year the series received three nominations for Best Fantasy TV Series, Best TV Actress (Caitriona Balfe), and Best TV Actor (Sam Heughan). Last year the series was nominated for four awards including, Best Limited Run Television Series, Best Actress in a TV Series (Caitriona Balfe), Best Actor in a TV Series (Tobias Menzies), and Best Supporting Actor in a TV Series (Sam Heughan). In the end the series took home the award for Caitriona Balfe as Best Actress. Below are the full list of nominees in each of Outlander‘s categories. Check out the full list of nominees here. The Saturn Awards will be announced in June. Read more about the awards here. This entry was posted in Award Shows, Caitriona Balfe, Sam Heughan and tagged Caitriona Balfe, Sam Heughan, Saturn Awards by Stephanie Bertone. Bookmark the permalink.